In the nine years since the Connecticut Code of Evidence was adopted, the law of evidence has changed. Courts have decided many cases interpreting the Code and have developed the common law of evidence. The legislature has enacted a number of statutes affecting the law, and most recently, the Code itself has been amended. For a complete and balanced picture of all the law affecting the admission of evidence in Connecticut courts—from one of the most knowledgeable experts on the topic—there’s only one place to turn: Tait’s Handbook of Connecticut Evidence, Sixth Edition. 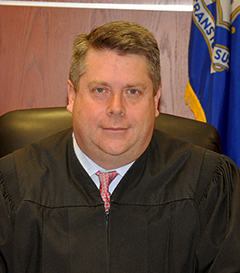 Written by Colin C. Tait, widely regarded as the top authority on Connecticut Evidence Law, and the Hon. 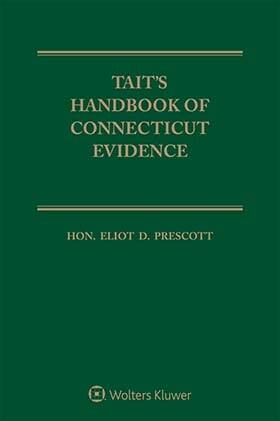 Eliot D. Prescott, a Superior Court judge and experienced trial and appellate attorney, this comprehensive treatise provides a complete restatement of the Connecticut Law of Evidence, drawing from the Code, case law, statutes, and court rules of practice. Comprehensive discussion of the Connecticut Supreme Court’s decision in State v. Dejesus. The future of the Connecticut code of evidence. Inclusion of in-depth discussion of all important new case law.